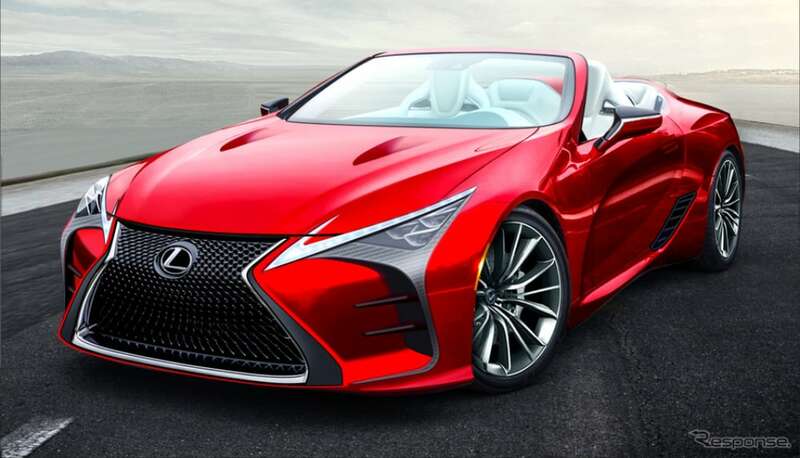 What will the Lexus LC Convertible Look Like? Japanese website Response is reporting that a Lexus LC convertible will be released in 2019 alongside the coupe’s first visual refresh. This may seem like an ambitious timeline, but stranger things have happened. Flagship convertibles may be a small segment in overall sales, but there’s no questioning its prestige — an LC convertible is a logical step for Lexus as they expand the top-end of their lineup. Response claims the LC design update will include a more aggressive front-face, including massive daytime running lights that extend into the hood. Technical challenges aside, the dramatic DRLs would be an impressive sight. There’s also mention of a 3.0L turbocharged V6 with 443 horsepower being introduced with the LC, and I’m of two minds — the engine would be a perfect addition to the Lexus powertrain lineup, but not at the expense of removing the V8 character from the LC coupe.